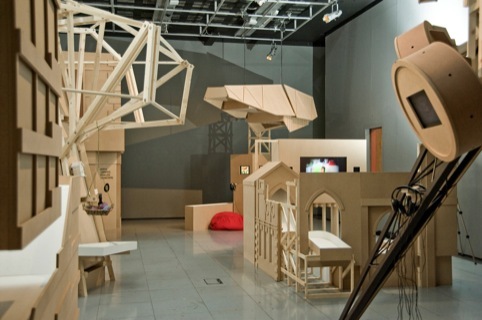 Aberrant Architecture designed The Social Playground, a giant interactive landscape, as part of the Knowledge Lives Everywhere exhibition at FACT in Liverpool. Based on the Easter tradition of egg-rolling, the installation invited visitors to race wooden eggs down and around seven different structures, each of which referenced a different aspect of FACT’s Collaboration Programme. 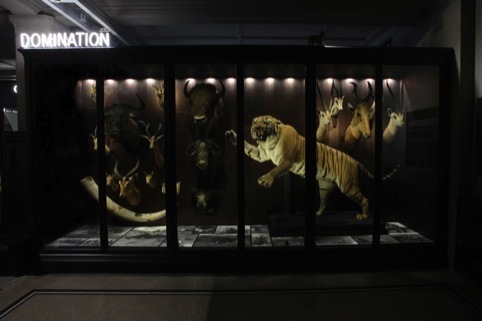 The Manchester Museum worked with Belgian consultancy Villa Eugénie to redevelop its historic Mammals Gallery into the new Living Worlds Gallery. The project included restoration work to the Grade II*-listed 19th-century gallery, designed by Alfred Waterhouse, followed by the introduction of sympathetic lighting and visual effects including striking neon signs to introduce each individual case.